Local newspapers are a great source of information regarding volunteer opportunities. You might find some referenced in the articles, in the editorial section, and the advertisements. However, the most likely place to find the potential volunteer opportunities you are looking for is in the community calendar of your favorite newspaper. The purpose of the community calendar is to list community events that are coming soon in your area. Some of these events can be meetings and activities of nonprofit organizations. If you don’t have a subscription of the local newspaper delivered to your home or office, don’t worry. Most libraries have the newspaper available to read at no cost. In addition, many of the newspapers have websites. 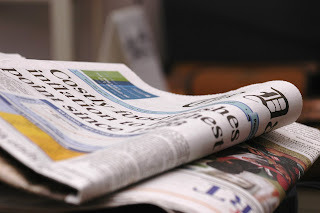 You can find many newspaper websites at http://www.newspapers.com. The community calendar is frequently on the newspaper website. You don’t have to go far to find the volunteer opportunity for you. Take advantage of the information in your local newspaper to lead you to a great volunteer opportunity.